Until recently Zdeněk Toman was an obscure name to many Czechs. However, his incredible story has now reached a broad audience thanks to an eponymous film about him that was released last autumn. 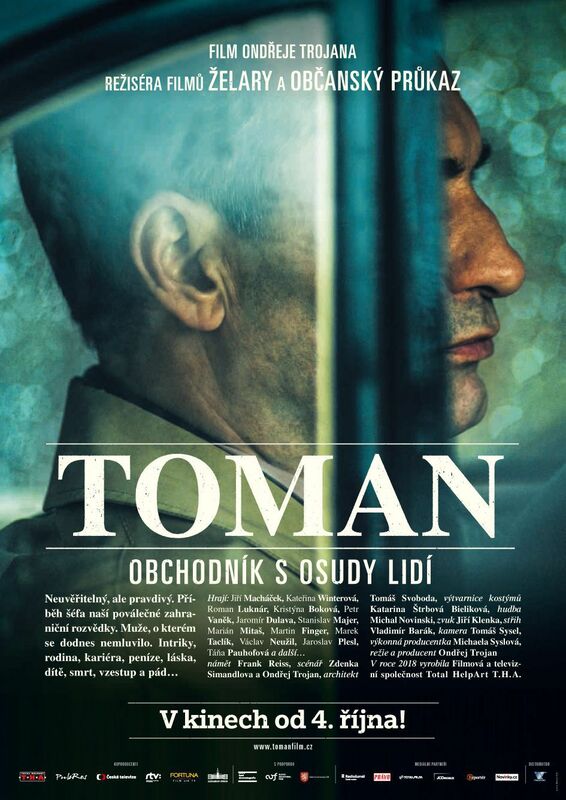 Just this week Toman was nominated for 13 prizes at the upcoming annual Czech Lion awards. I spoke to Martin Šmok, the man who originally discovered his extraordinary story. 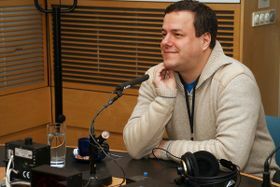 Martin Šmok, photo: Alžběta Švarcová, Czech Radio Mr. Šmok, one could say that you are the man who discovered Zdeněk Toman. It was your 2003 documentary “Between a Star and a Crescent“, that first brought awareness to this figure. How did you come across him exactly? 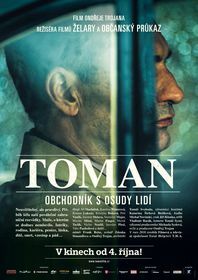 The story of Toman has become relatively well known in the Czech Republic since he became the subject of an eponymous Czech film last year on which you worked as a historical consultant. Yet, to most audiences abroad, he is still virtually unknown. 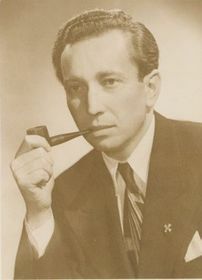 Could you tell us a bit about Toman’s origins and his role in the Second World War? Sobrance “Zdeněk Toman was born in a town called Sobrance in the easternmost province of Slovakia, into a poor, rather traditional, Jewish family. His name was Asher Zelig Goldberger, but he kept changing his name throughout his life. He left the eastern provinces quite soon and studied in Prague where he most probably became a communist. So he was involved in the radical left movement since his youth. 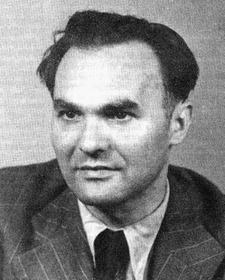 Zdeněk Toman, photo: Wikimedia Commons, Public Domain Shortly after the war, Toman was named the head of the Czechoslovak foreign intelligence service by the Communist Party. Why would the notoriously paranoid Communists put a man who worked in capitalist Britain into this position? “Don’t forget that there were many communists who came from London. 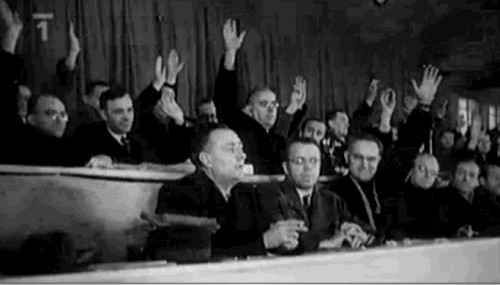 The purges within the communist party started in late 1949 and the beginning of 1950. Communists who were in any kind of power and spent their wartime years in London or any kind of western exile were purged, murdered, persecuted and had really horrible things happen to them, but not yet! But there also must have been a practical reason why they named Toman as foreign intelligence chief. I understand that he was very useful in securing money for the Communist Party. Could you tell us a bit about this part of his personality? Film about Zdeněk Toman “Apparently after his return to Czechoslovakia he built quite a successful black market empire. He had nothing to do with any kind of ideology or politics. He was a black marketer, one of the kingpins of the underworld. However, in addition to his skills in this area, he also had political power and he could therefore cover up what he was doing. It is during his time as the head of foreign intelligence, that Toman enters the story you worked on. 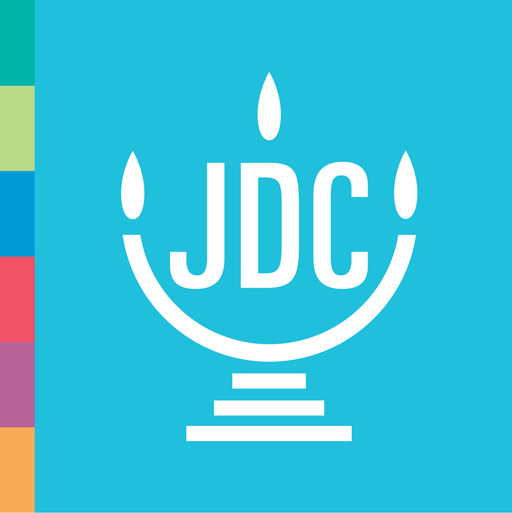 Could you tell us a bit about the American Jewish Joint Distribution Committee (JDC) and how it got involved with him? “The American Jewish Joint Distribution Committee is the biggest Jewish humanitarian agency. It is basically the body of American Jewish philanthropy. 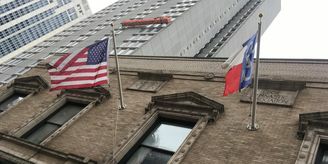 It was created during the First World War and became the lifeline for surviving Jews in Europe after World War II. 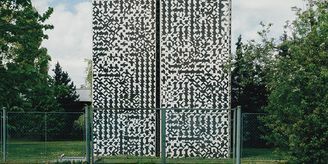 “The reason why Toman got involved was because after the pogrom in Kielce in the summer of 1946, Czechoslovakia became a transit country for a mass of illegal ‘migrants’ using todays’ language. Polish Jews who survived the war on the territory of the Soviet Union did not want to stay in Poland, because when they were returning from the interior of the Soviet Union after the war, they were labelled as agents of Bolshevism. This coupled with the popular antisemitism that still existed and still exists in Poland led to bloody murderous pogroms that made those people want to leave. The only ones willing to take them in were Jews in Palestine, but they had to get there illegally through southern Europe. 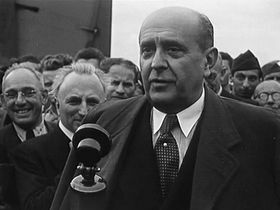 “So suddenly there was a mass of people crossing the Czechoslovak border from Poland. They were being caught, arrested and returned. No one knew what to do with them. They tried to build some kind of holding camps for them, but it was clear that what has to be controlled is the crossing of the borders. Zdeněk Toman controlled the borders. How important was this partnership exactly? Would it have been possible without Toman’s help? It should also be said that throughout his time in power, Toman seems to have been in the favour of both sides, serving as the Communist Party’s powerful intelligence boss, but at the same time often consulting with leading democratic figures such as Jan Masaryk. How was he able to do this? Eventually however, his relationship with the communists soured. He was fired and later arrested. What happened? “My personal opinion is that he was going too far with his black market operations and was already too visible as a communist and a person with real political power. Despite what politicians tell us, they really operate as gangs. There are always certain groups of politicians even within the same party who stick together and not with other, actually fighting with them. I think this is what started Toman’s downfall and it continued with a series of mistakes. In most cases, getting arrested by the communist party as a high functionary meant torture and confessions at a show trial. But Toman managed to escape from a prison located in the centre of Prague. Was he lucky? Or did he have western contacts? 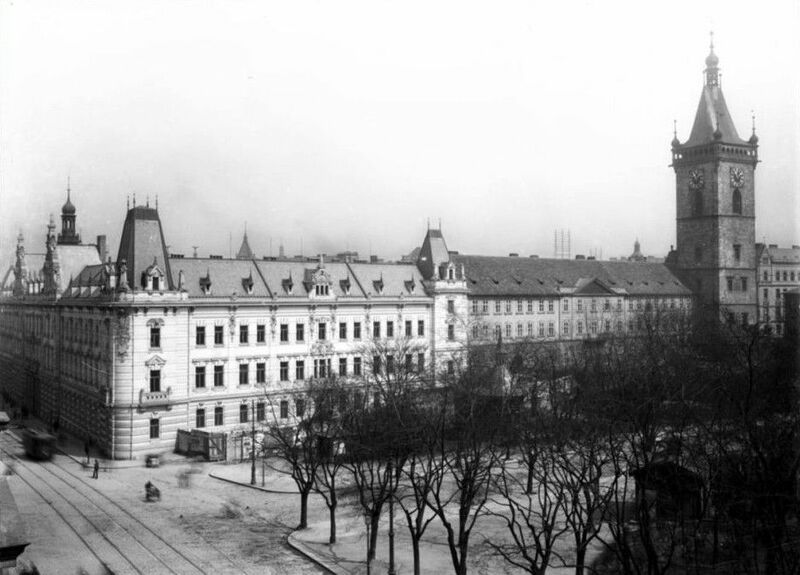 “It was the jail on Karlovo Náměstí next to the Palace of Justice, literally in the centre of Prague. In his recollections he said that he simply walked out, greeted the guards and before they realised he was not their boss anymore but a prisoner, he was lost in the city. “Again it is all because this is very early in the story. He was one of the first communists to be arrested. At that time it was those individuals that were labelled as enemies, who were being arrested. Therefore, I suspect that the lowest strata of officialdom were unsure about how to treat him and what to do with him. At the time his wife had just given birth to his son. Is that correct? What happened to them? “The wife committed suicide and the son was basically stolen, given a new identity and given to ministerial employees who could not have a son." Rudolf Slánský And he never saw his son again? What did Zdeněk Toman do once he escaped to the west? 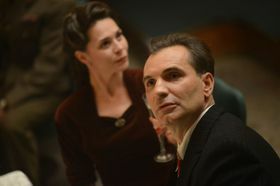 Jiří Macháček as Zdeněk Toman in film Toman, photo: Total HelpArt T.H.A. Overall, would you say that Toman simply was a very lucky opportunist? “I think that is exactly what he did. It was purely his own personal interest that he always had on his mind. He was an egomaniac and a kingpin of the underworld. He was not a Jewish fighter, nor a hero. He was a communist when it was useful to him. I believe that in the end he even stole money from the communist intelligence services after his escape. And I do not think that he ever thought about anybody else than just himself. “I think throughout his whole life. Toman was trying to find his own identity. At first he was a poor boy from eastern Slovakia, an orthodox Jew that no one would take seriously. He came to Prague he became a student, probably he felt more at home among the Hungarians so he changed his name to Zoltán. He dropped his family name, he dropped his Jewish name. He kept coming up with new names and identities.